There is usually a confusion between sealers and sealants due to less of no description from manufacturers and online content. Sealers are waterproof products that are installed on concrete surfaces or tiles to prevent the penetration of water and destructive chemicals like chlorides. Sealants are also referred to as caulks. They are used for filling in cracks, gaps, joints and voids on surfaces. They are mainly used for repair purposes in the construction industry. Penetrating sealers include silanes, silicates, siloxanes, and siliconates. These sealers penetrate into the concrete surface to protect it from water and moisture infiltration. They are suitable for exterior surfaces in your building that are vulnerable to freeze-thaw and corrosion. It does not alter the look of the surface. Your exterior design will be left intact. These products are permeable hence they allow moisture to escape. Acrylic sealers are available in water-based and solvent mixtures. It can be used for both inside and exterior concrete surfaces. They dry up quickly and enhances the beauty of a house. These sealers are available in different color types and sheen levels. Acrylics are mainly made to enhance the beauty of a building. They are resistant to chemical erosion and protects concrete surfaces from water infiltration. However, they wear out more quickly than epoxies and polyurethanes. To avoid the quick tear and wear, acrylic sealers require regular maintenance. We prefer using solvent type for outdoor surfaces because it can withstand extreme weather conditions better than water-based. Polyurethanes forms a strong protective coat on the surfaces. It can be used for both interior and exterior floors. It is highly resistant to tear and wear hence can be used on walkways. The product has different types of sheen levels. Polyurethanes should be allowed to cure before water is used on them. It is as strong as polyurethanes. It is resistant to UV rays and can be used for exterior surfaces in your building. It can be mixed with other colors of your preference since it is a clear substance. It is durable and resistant to abrasion. This type of sealant is easy to apply and is odorless. They are highly effective in filling cracks, voids, joints, and gaps on concrete surfaces. It flexible and can be transferred from one sealant to another. The advantage is that it can withstand extreme temperatures. They are available is different colors. This sealant is mixed with acrylic latex and silicone to make it more strength to resist water. They are also easy to apply and can endure extreme temperatures. It can last up to 30 years. 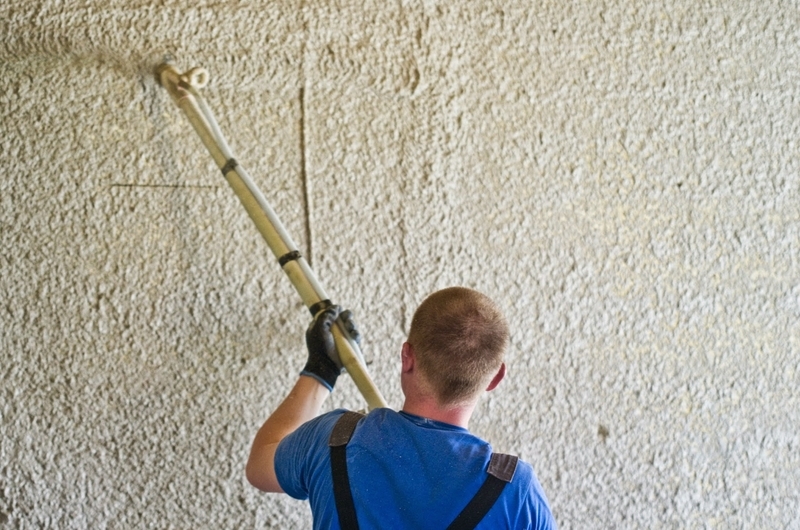 It prevents mold growth and protects the original color of surfaces. It is highly resistant to abrasion and can withstand high traffic than an acrylic sealant. It is applicable for areas around sinks and bathtubs to prevent algae growth and efflorescent formation because it is resistant to water. Silicone is resistant to UV rays hence suitable for exterior concrete surfaces. Silicone sealant is a bit difficult to apply on surfaces as compared to other types. It is easy to clean and maintain the surfaces. It is mainly used in areas around electrical wiring and pipes to protect them from water infiltration. They have high levels of elasticity hence can expand to fill concrete spaces and holes created during the installation process. It dries up quickly and provides a good protective coat. It does not have a long lifespan, but it is suitable for sealing areas around the gutters, chimneys, and lap joints. It resists water from infiltrating in the concrete surfaces making it a good waterproofing material. It takes longer to apply and dries up slowly. Synthetic rubber is the most flexible sealant in the market. It is suitable for exterior surfaces and joins joints effectively because of its high expanding ability. It can stretch without tearing and suitable for joints that frequently move. However, it has high levels of VOC hence not suitable for interior use. Our team at Waterproofing Singapore is well equipped with waterproofing sealer and sealant skills. Contact us today to get your quotation.